Have you ever been in a situation where you needed to ping a server? Most everyone that has used a computer has done this at some point. As a System Administrator, I use this utility on a daily basis. 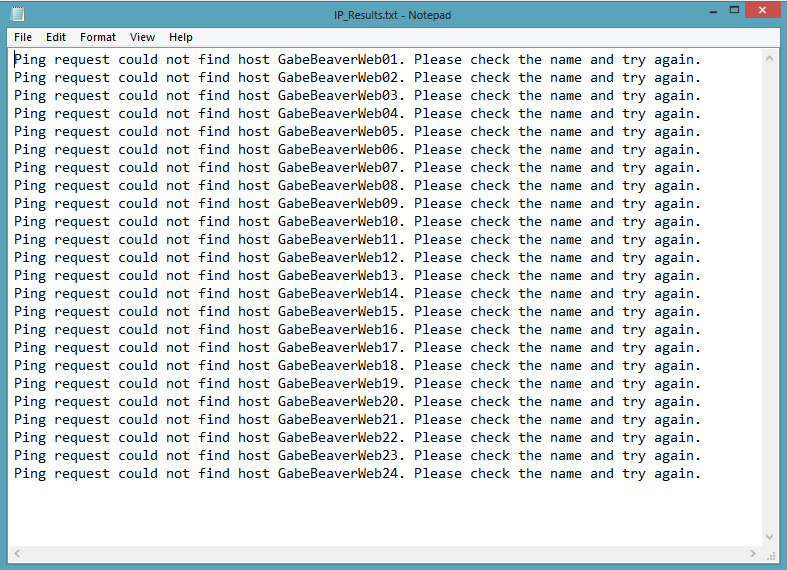 Just fire up a command prompt or PowerShell and type, “ping MYSERVER01” and press enter. Easy peasy, right? What if you needed to ping a long list of hundreds or thousands of servers? 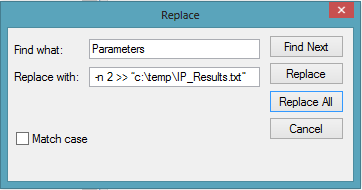 What if you also wanted that results to be put into a text file or csv file? I was put in this situation this week and instead of manually pinging thousands of servers (because we all know that would be SO much fun! ), I made a custom script that will do it for me. Here is how I did it. Hopefully other sysadmins out there find this useful. Next, I selected the space between ping and the server name, and copied this to the clipboard. 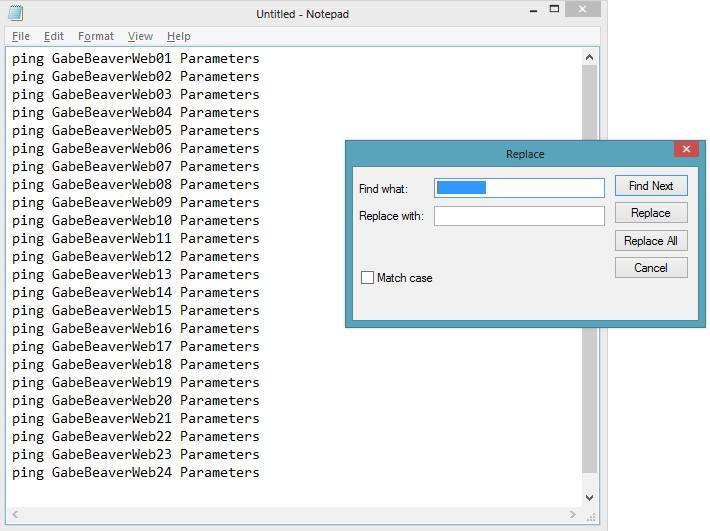 Then I clicked “Edit” and then selected “Replace”, in the “Find What” field I pasted the copied space, in the “Replace With” field, I simply pressed spacebar one time. Then pressed Replace All. 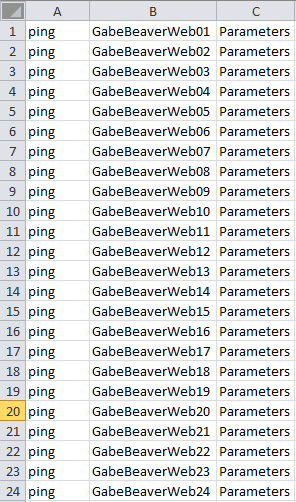 Now I need to set the parameters for each ping. 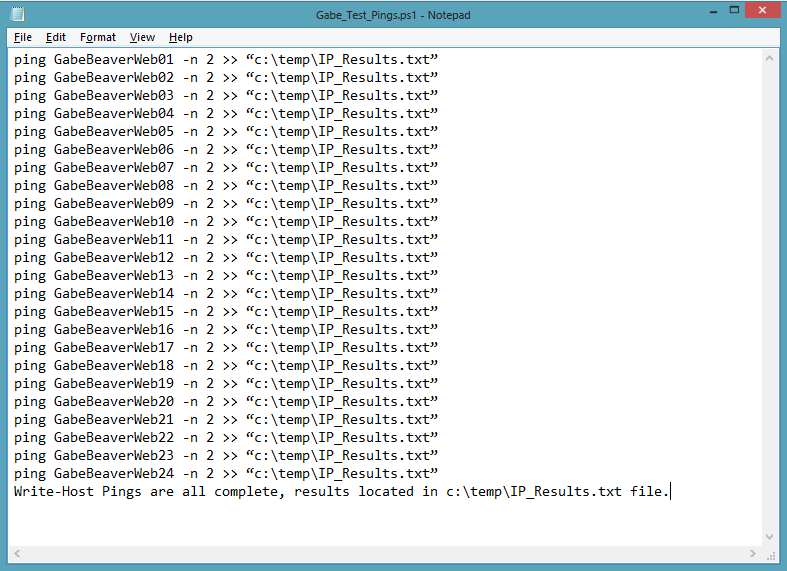 I wanted my script to attempt to ping each server in the list twice and pipe the output to a text file in this location “c:\temp\IP_Results.txt”. This would be accomplished by Replacing “Parameters” with “-n 2 >> “c:\temp\IP_Results.txt” “ and then pressing Replace All. Now I just needed to save the file as a PS1 and run it. 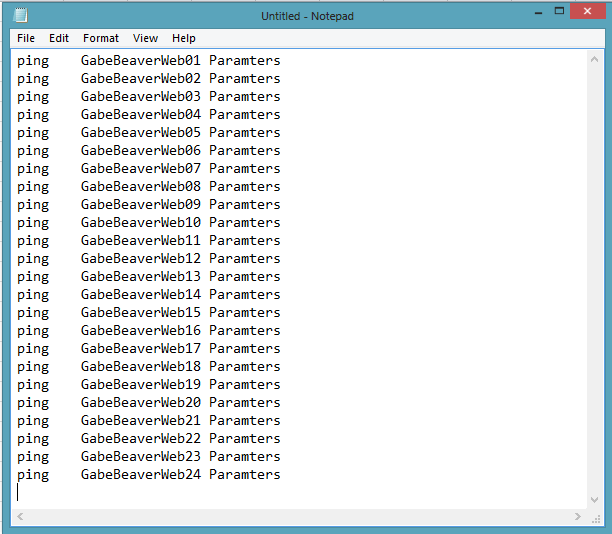 I saved it as “Gabe_Test_Ping.ps1” to my desktop, launched PowerShell, and away it goes. In the below screenshot, noticed it processed the entire script and wrote out my Write-Host entry at the very end. Note – To launch a PowerShell script in your current working directory, you have to use “.\” in front of your script path. Note2 – Also if you are unable to execute the script, check your Execution Policy settings. For information about setting this policy issue a “get-help Set-ExecutionPolicy –detailed” from PowerShell. Below are your options, in my lab I use Unrestricted. 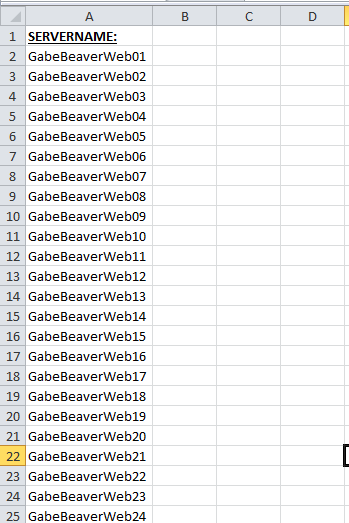 I am very much a “scripting” novice, but I made the data and tools work for me. Instead of pinging over a thousand servers one by one, I can initiate a simple script and be much more productive with my time. With PowerShell you can work smarter, not harder! Would you have done this differently? Do you have any other administrative tasks you’ve automated in your enterprise? Let me know in the comments section.